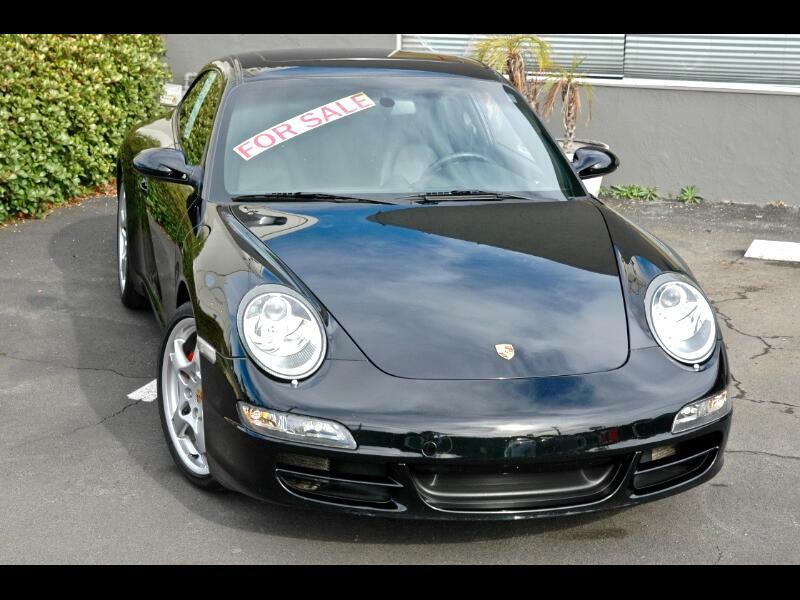 This 2006 Porsche Carrera S with a black exterior and a black leather interior is a two owner California car that has been extremely well cared for and maintained. It has just received a major service, new clutch and new front brakes. List price when new was $90,320. * 3.8 Liter H6 Engine @ 355 HP. * Porsche Factory Short Shifter. * Carrera S 19" Wheels. * Center Wheel Caps w/ Colored Porsche Crest. * White Faced Instrument Dials. * 12 Way Electric Front Seats w/ Lumbar. * Seat Memory Drivers Side. * Front Luggage Compartment Cooling System. * Bose Premium Sound System. ** Pre-purchase inspection report upon request. Message: Thought you might be interested in this 2006 Porsche 911S.